It’s time to start thinking about Christmas! 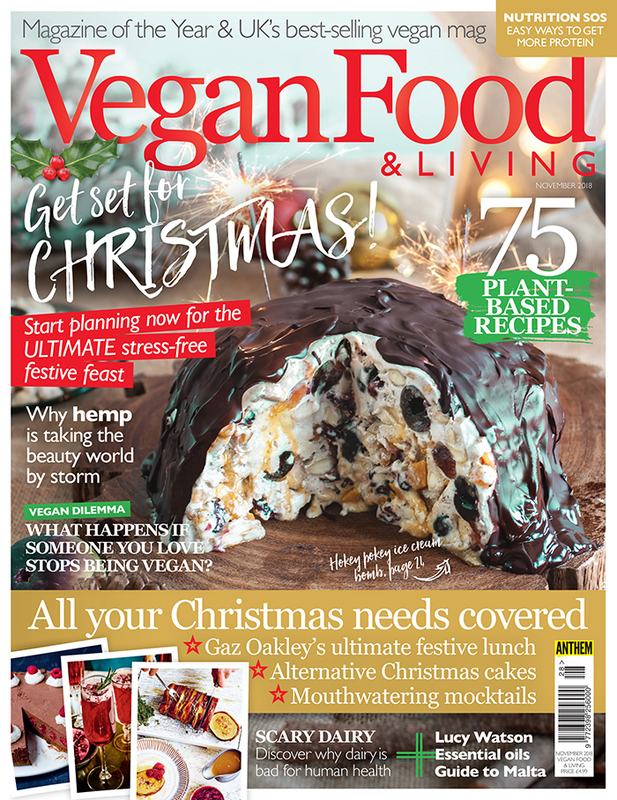 So get your mulled wine on the go and warm your mince pies ready for a read through the latest issue of Vegan Food & Living. We know, we know, it might seem a little early (although if you ask us it’s never too early! ), but you can’t ignore it, Christmas is on its way! So in order to enjoy your best vegan Christmas to date, planning ahead is a must. We get you started in style with delicious alternatives to the less than inspiring festive fruit cake, Gaz Oakley’s ultimate Christmas Day lunch, and mouthwatering mocktails that won’t leave you feeling a little delicate the next day. Also this issue, we tackle the sensitive issue of what you should do if someone you love decides to stop being vegan, discover why dairy is so bad for humans and reveal why hemp is taking the beauty world by storm. If that’s not enough, we also share 10 top tips for a sustainable life, Lucy Watson whips up a comforting autumn weekend feast and we debunk the common myths about pigs! Get your hands on a copy today! Pick up your copy of Vegan Food & Living from selected WH Smith, Tesco, Asda, Sainsbury’s, Morrisons, Waitrose, Marks & Spencer, as well as Hobbycraft and independent newsagents. Click here to find your nearest stockist, or alternatively, you can order online from us here.